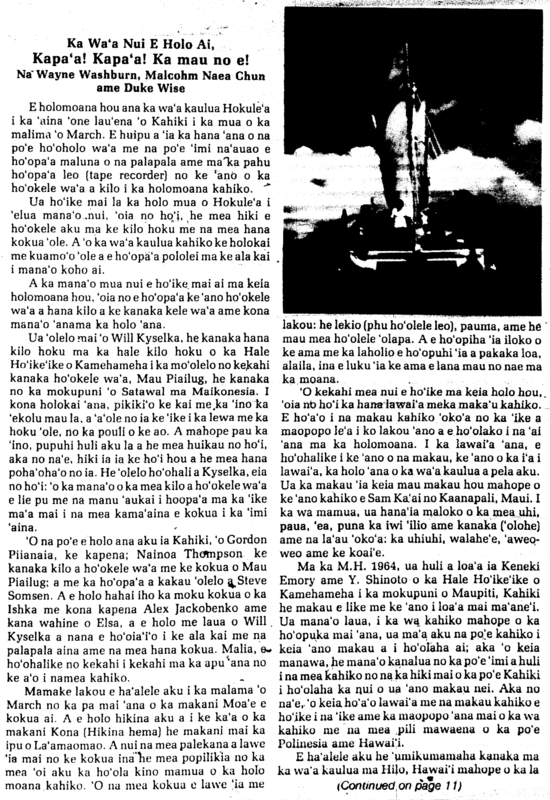 This entry was posted in Canoe, Fish/Fishing, Hawaiians Abroad, Illustration, Moolelo, Travel and tagged Alex Jackobenko, Duke Wise, Elsa Jackobenko, Hokulea, Hokuleʻa, Kenneth Emory, Malcolm Naea Chun, Mau Piailug, Nainoa Thompson, Sam Kaʻai, Steve Somsen, Wayne Washburn, Will Kyselka, Yosihiko Sinoto by nupepa. Bookmark the permalink. Can you share any knowledge you might have about the author, Duke Wise? 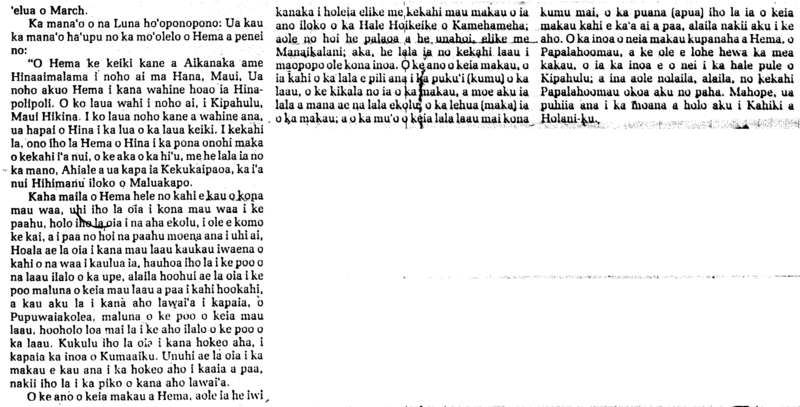 Iʻve been reading soem other articles he wrote, ulu ka hoi.